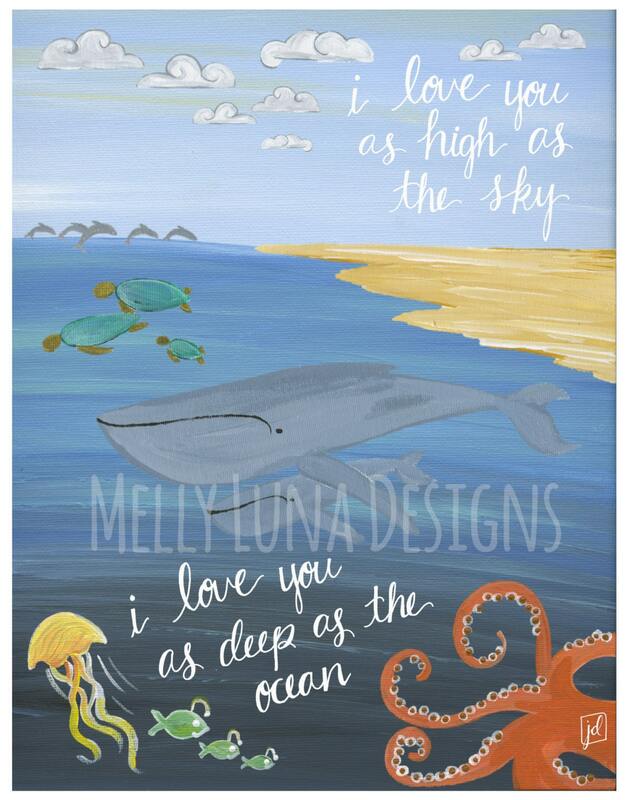 This is a reproduction print of my “I Love You as High as the Sky and as Deep as the Ocean” acrylic painting on canvas with a hand-lettering message. 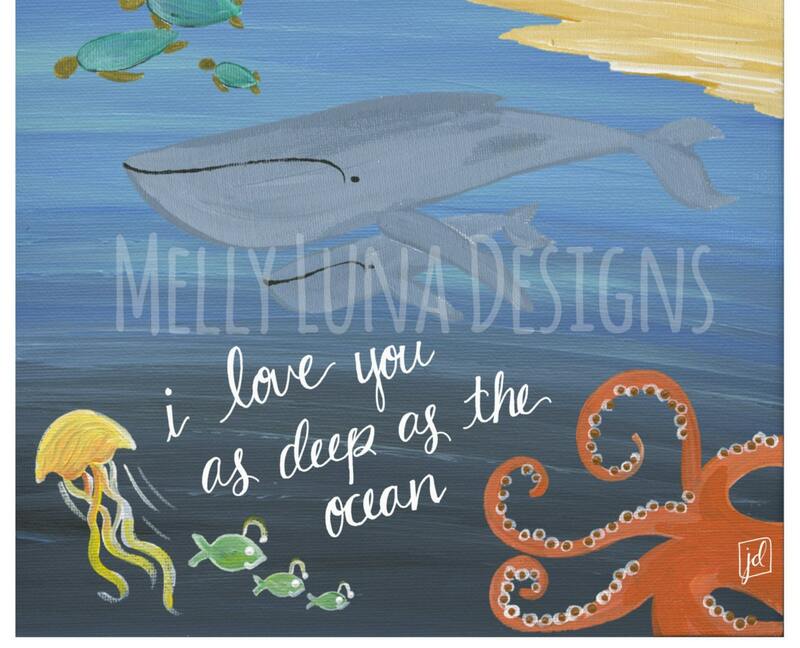 This art was inspired by a message that a friend and her mother...and now daughter say to each other to express their love. The hand lettering was created with pen and ink and then overlaid through Photoshop processes on the abstract rainbow. I print these at a local print shop on a slightly glossy card stock. The image is a 300 dpi high resolution jpeg (10 MB) printed to 11” x 14.” The print has a slight border. This print will arrive rolled and in a poster mailer or in a flat photo print mailer for protection.